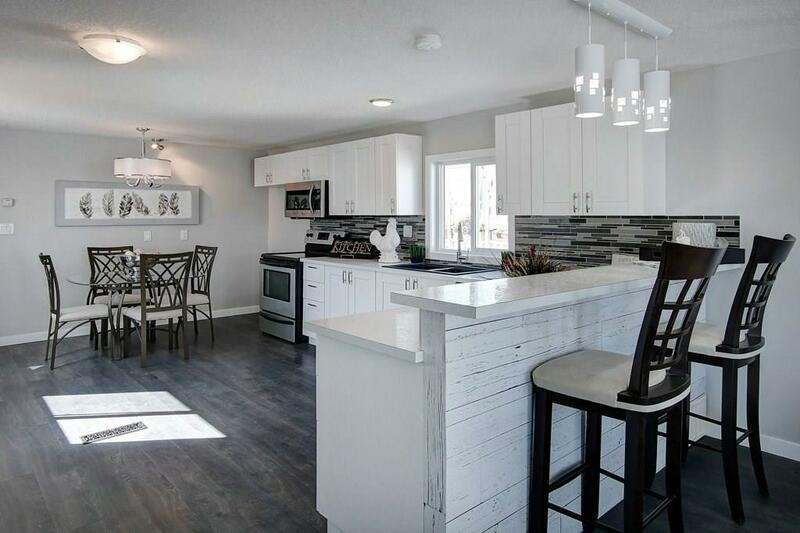 WHY RENT WHEN YOU CAN OWN THIS HOME FOR AS LOW AS $660/month OAC. 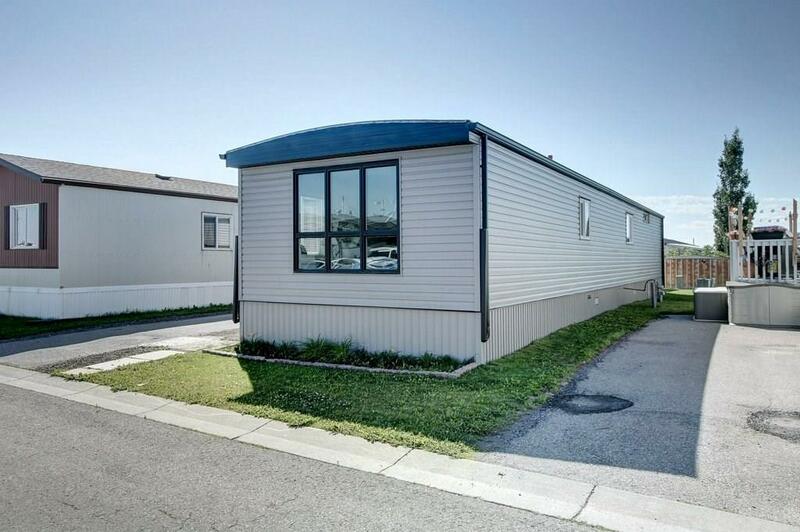 Beautifully and completely renovated mobile home in Chateau Estates, one of the best parks in the city. This home has 2 large bedrooms, large bathroom, spacious living and kitchen and an entry foyer with a large coat/storage cupboard. 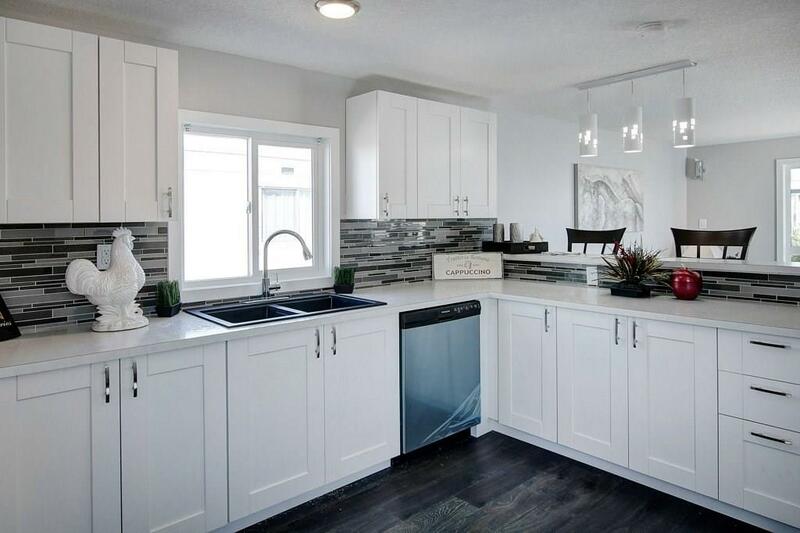 Full renovations include added insulation, new siding, new windows, 8x8 addition, drywall throughout, new base/case, new laminate flooring, tiled backsplash, large new kitchen cupboards with a raised island and Stainless Steel appliances, all new lighting, new bathroom with tiling. 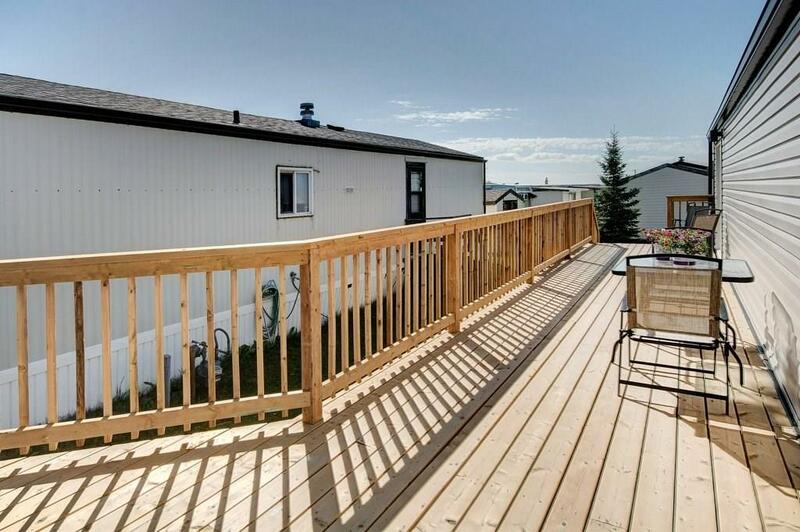 The master bedroom has patio doors leading out onto the large, newly constructed deck. Low lease fee of $555 includes use of the clubhouse, water, sewer, garbage pickup, snow removal. Clubhouse has a gym, hot tub, sauna, kitchen/banquet room. Also includes a large shed. Chateau Estates is close to Walmart, Costco and all amenities. You will want to make this your new home!